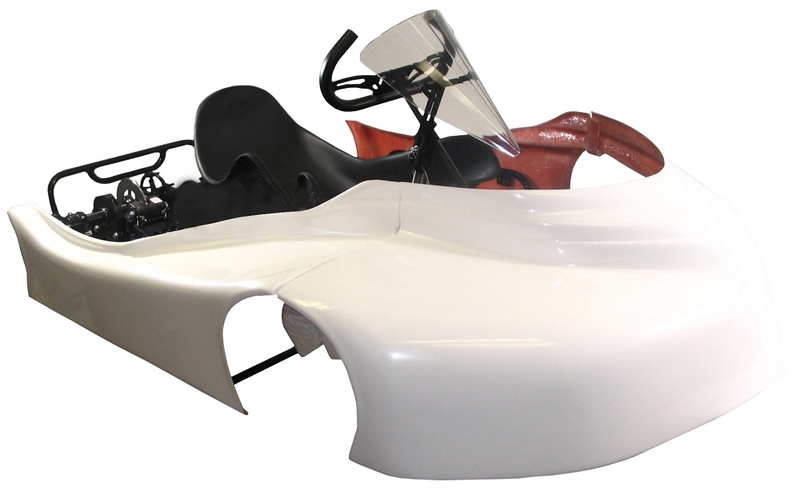 Depending what our current inventory (colors available) of this chassis, the lead time may vary between 2 - 4 weeks. Please call to inquire about our stock levels. Ultramax Racing is continuously working to create and design chassis that are unique, innovative, and cost efficient, in our efforts to supply racers with championship winning chassis! Racers can expect the highest quality components and product finish, no matter what your particular chassis needs may be. We've got our newest chassis now available -just pick up winner! Ultramax Xceed - The all new next generation chassis with many tested and proven chassis options. From the new style of bearing and chassis hangers to the pass through chassis brake lines, this chassis is geared to get racers up front and keep them there week after week and do it with both tried and true technology and new ideas as well. Features an extra tie rod behind the seat. This tie rod adds additional reinforcement in the case of rear collision. It is supposed to be "loose"
PAIR MEDIUM SEAT STRUTS 14"